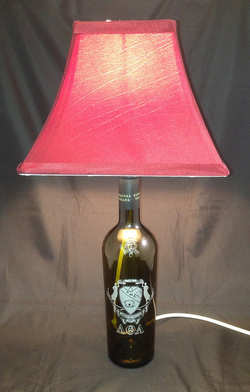 An actual wine bottle turned into a lamp. Add a logo or your own artwork or let me create it for you. Perfect complement to your bar. or enter the colors you would like below. *Optional* Custom colors are at an additional cost. You may list up to 3 colors.